AUST. GRAND CH. 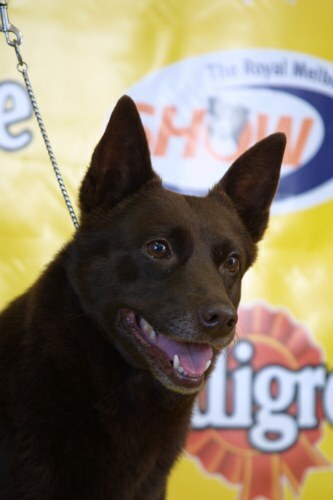 WINGDARI ULURU "ROO"
CRITIQUE: OPEN DOG - lst Place - A well balanced dog of excellent type, with good head and expression, very alert. Well proportioned head and body. Good coat, feet and outline. Good facility of movement, showing balance, synchronisation and enduring qualities. Sound fore and aft action. AUST. 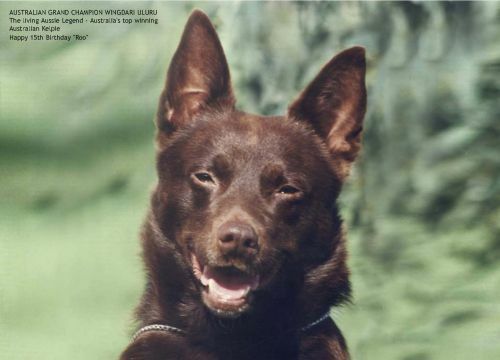 GRAND CHAMPION WINGDARI ULURU "ROO" and AUST. GRAND CH. MOUNTAINMIST OLGA "POSS"